Large. Small. Complex. Simple. Realize your Odoo project with us - we adapt to your wishes, your pace and your processes! You are the focus! Our approach is characterized by "WE" and "TOGETHER", because only together we can ensure that a project is successful. Unleash your potential with cube48 & Odoo. Odoo is a package of open source enterprise apps covering all your business needs: ERP, MRP, CRM, e-commerce, accounting, cash register, project management and much more. With intuitive modules, Odoo manages your entire business process – whether you want to reach and manage your customers better, efficiently map and design your production and warehouse logistics, simplify and consolidate your product management, bids, invoices, and bookkeeping . Odoo supports your company in all business and production processes – from intuitive customer relationship management, to efficient production planning and control, and easy-to-use finance and accounting, all the way to a complete e-business solution. Perfect fit: Every industry, every business has its own requirements for business software. With Odoo,cube48 offers perfectly tailored solutions to your company, your industry, your processes, your country. Process and user-oriented: With individually adjustable features and intuitive usability, Odoo provides high user acceptance. Modular: The modular design of Odoo itself and the modular adaptation by cube48, our solution is future-oriented and offers a lasting efficiency at all levels. Community: The Odoo community is the foundation for a fast-growing and progressive system. It is the largest, the most active and the technically leading open source community in the field of ERP. Trendsetting technology: The early detection, recording and integration of current technology trends makes Odoo a pioneer of new standards in the open source ERP environment. Transparency and overview: all information is provided clearly. Mobile Compatibility: With Odoo you are independent of your device. You always have access to your system from everywhere. Perfect fit: Every industry has its own requirements for a system. From manufacturing companies to e-commerce companies, Odoo meets every single requirement. Process and user-oriented: Odoo meets with a high level of acceptance among its employees through individually adjustable features and instinctive usability. Modular: Odoo grows with you and can be flexibly adapted to new processes and conditions. The modular design ensures lasting efficiency at all levels. Trendsetting technology: Odoo is considered a pioneer for new standards in the open source area, because of the fact that the current technology trends are taken up early and optimally integrated. Mobile Compatibility: With Odoo, you have access anytime, anywhere you want, whether on your desktop, smartphone or tablet. 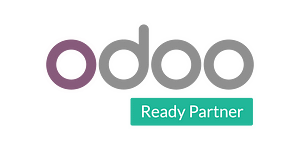 As an Odoo Partner, we combine our IT expertise and practical experience in conception, integration, development and process optimization. 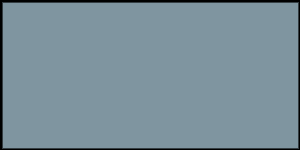 Furthermore, our work is characterized by excellent competencies in the fields of data integration and corporate design. We support and accompany you on your way to the future. We rely on accuracy of fit rather than standardization – to free you from rigidity. cube48 focuses on applicability and compatibility rather than standardization. We ensure that your processes are accurate, intuitive and error-free provided with a safe and secure business app that makes ERP easier than ever.